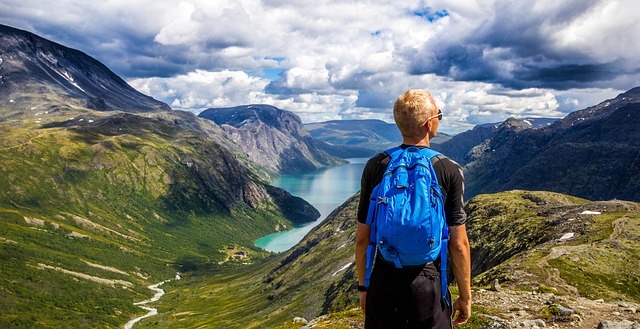 A backpacking trip can be an adventure of a lifetime. It’s an opportunity to see and experience nature using each of your five senses. Having the right equipment is ultra-important for a successful backpacking trip. The challenge is taking everything that you need to survive in the outdoors, while keeping your pack light enough to carry on long treks. Experienced backpackers know how to make several items useful for multiple purposes. After a long, tiring day of backpacking, you’ll want to settle down into a safe, dry sleeping space, so you’ll need an ultralight tent that can be set up in a jiffy. Regular camping tents were designed for use in campgrounds where campers will remain for a weekend or several-week stay. In years’ past, tents were made from heavy canvas, but today’s tents are made from lightweight materials like polyethylene and polyurethane which are tightly woven to keep out rain and are lightweight as well. Still, many campers like the ideas of larger tents and multiple rooms, which are not conducive to backpacking. The materials for backpacking are the same, but what is different in backpacking tents is that they tend to be smaller and minimalistic as compared with tents that are geared towards campsite camping. Backpackers will want a tent that serves the purpose of sheltering them while they sleep and is light enough that it doesn’t weigh down their pack. Interior pockets and separate vestibules for storing gear are handy features for backpacking tents. The best backpacking tents can be set up easily by one person. In comparison, some camping tents need 2 people to do it efficiently. They have more room and are great for camping, but if you are going to be carrying your tent everywhere with you like you do with backpacking then you'll want something small and compact. Tarp shelters are also good since they are just as portable. Because backpacking tents are lighter they aren't great for the cold. If you want more year 'round options check out these 3 and 4 season tents. This backpacking tent is made from ultralight polysester taffeta. It is a freestanding style with a two-pole design that stays taut. It has a small vestibule for storing gear. The half mesh walls allow for easy ventilation. It has interior mesh pockets and a handy gear loft for storing personal items. The tent includes stakes and guy-ropes. Sleep in comfort in this two-hoop bivy-style tent for one person. The roof has a large, mesh opening. It comes with an attached full cover rain fly to keep out the rains. It includes two interior storage pockets and a loop to hold your flashlight. The center height is 28” and it weighs only 2lbs, and 9 oz. This backpacking tent is an excellent choice for groups of 2-3 backpackers. It’s made of lightweight polyester and one person can set it up while another makes the campfire. The outer layer can be closed up to do dual-duty as storage room for shoes and your backpack. This is a light pack that is highly waterproof and windproof. Made of polyester taffeta, this 1-person tent has clear mesh windows that keep bugs out. It has a two-pole construction system for easy assembly. It has extra-large zippers on the door and the vestibule. Store extra gear in the vestibule area to protect it from animals and weather. It has a strong floor and it’s designed to stay taut. Backpackers will like this lightweight backpacking tent with 10 square feet of vestibule space for storing gear. The interior comfortably sleeps two back packers. It has a two-pole design for fast and easy set up. The center height is 5’ high. Tuck it into your backpack three seasons of the year for successful backpacking trips. This tent is perfect for backpackers who like to hike and bike. It’s lightweight and compact and has a Dutch D-style front door with a screen, as well as a rear vent for good ventilation. It’s protected all around with Weather Armor fabrics. The seams are sealed and the floor is welded for a waterproof seal. It is an A-frame style tent and it includes stakes and a storage duffel. The backpacking tent’s main purpose is utility. It’s a safe place to get some rest and keep you dry from the elements. Because you will want to spend most of your time hiking, you won’t want to spend a lot of time setting up and breaking down camp. It’s important to have good ventilation in the roof, doors, or side windows to keep you cool and keep the tent aired out. Tightly woven mesh coverings let air through and keep bugs out. Be sure to take a rain fly for extra protection from the rain.